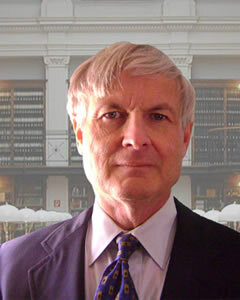 Tom, a recently retired partner in the firm’s New York office and now Of Counsel to the firm, has engaged in the practice of intellectual property law for over forty years, and has worked as both an in-house attorney for major companies and in private practice. A graduate of Cornell University College of Engineering and St. John’s University School of Law, Tom’s experience includes patent, trademark and copyright prosecution, licensing of patents, trademarks, and copyrights, product clearances and litigation. Areas of practice have included semiconductor technology, a wide variety of consumer products and services, industrial products and processes, medical products, and software. Tom is admitted to practice before the U.S. Patent and Trademark Office and is admitted New York State Bar and to a number of Federal Courts, including the Court of Appeals for the Federal Circuit.